Note: For information about navigation aids, go to the Image Map. Navigation bars for migrations Up, Down, Back, and Next are present at the end of each Chapter (for instance, CLICK HERE). Angiofibroma is a distinctive fibrous hamartoma of the skin; like several other hamartomas of the skin, it primarily affects the butter-fly area of the face. It is usually solitary but, for some patients, lesions can be multiple without representing stigmata of the tuberous sclerosis complex. On the other hand, the histologic features of the a fibrous papule differ little from those of an angiofibroma (adenoma sebaceum) of the tuberous sclerosis complex. As a histologic specimen to be examined in the daily practice of pathology, fibrous papule is a relatively common. The designation was proposed by Helwig. Reed, at about the same time, characterized the lesion as melanocytic angiofibroma. As a privilege, herein, the two designations will be used interchangeably. Angiofibroma (fibrous papule) is a hamartoma that is expressed in mesenchymal patterns. Collagenous tissues of the dermis and the associated vascular structures are affected. The face is the favored site but this is also true of other hamartomas, not all of which are expressed in mesenchymal patterns. The histologic analogue of fibrous papule is the angiofibroma of the tuberous sclerosis complex. In many, but not all, examples of the tuberous sclerosis complex, multiple hamartomas affect multiple organ systems; the affected tissues are not all of mesenchymal type and the histologic expressions are not limited to fibrous tissues and vessels. Examples include angiomyolipoma of the kidney, lymphangioleiomyomas of the lung, sugar tumors of the lung, and variants of epithelioid leiomyoma of the uterus. Vacuolated or clear epithelioid cells, particularly in relationship to vascular components, are a feature of many of the examples. Among the affected organ systems, some of the hamartomas of the brain are expressed in glial patterns. The consequences of the genetic defect seem to be relatively independent of tissue type. In a manner that reflected a greater reliance on subjective interpretations of static histologic images than on immunohistochemical reactions, Reed found dendritic cells in the basal layer of the epidermis overlying most examples of melanocytic angiofibroma and in the underlying fibrous component of the lesion. He interpreted the epithelial component of dendritic cells among basal keratinocytes as evidence of melanocytic hyperplasia. He then speculated that the dendritic cells of the dermal component were migratory melanocytes that facultatively functioned as fibroblasts, or that, in some manner, influenced the formation of a fibrous matrix by dermal fibroblasts. After all these years, I still cling to the idea that melanocytes may have a role in maintaining, or altering the fibrous character of the dermis, particularly components of the adentitial dermis. A special category, the PECOMAs, based in part on immunohistochemical reactions (i.e., HMB45+), embraces most of the same lesions as those encountered in the setting of the tuberous sclerosis category. For example, angiomyolipoma of the kidney is a lesion in which immunoreactivity for HMB45 is an accepted characteristic; it is a variant in the category of the PECOMAs. In this examination of the histology of angiofibroma (fibrous papule), immunohistochemical reactions are not available. A reliance is placed solely on histolgic features as seen on H&E stained sections. Questions are raised for which the results of immunohistochemical reactions might well provide a definitive answer. A population of epithelioid clear cells were not encountered on any of the histologic sections. Some of the histologic material is from my material and some was provided by Don Pulitzer. Aids to navigation (navigation bars: UP, DOWN, BACK, and NEXT) are available at the end of each chapter (see below). 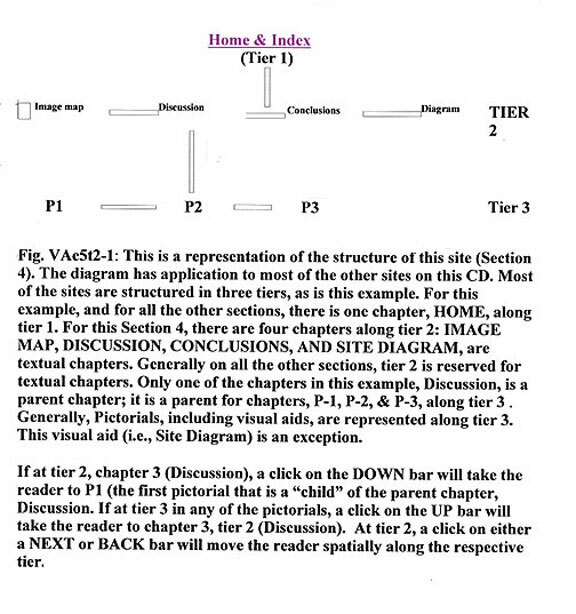 The browser also provides the opportunity to move among the chapters of a selected site.